David and Deborah Lemieux, owners of Stonegate Antiques and professional dealers for 34 years, offer a fully guaranteed and wonderfully eclectic selection of vintage antiques and collectibles. 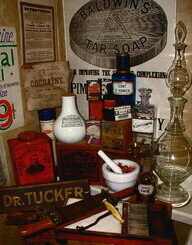 The majority of offerings are representative of the material culture of 19th and 20th century America, from items once lining the shelves of an early drug store, to the tools of the medical, dental and veterinary sciences, to the educational materials utilized by children in the ubiquitous one-room school house. 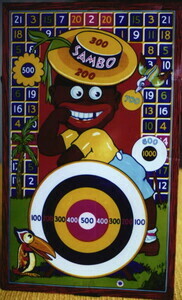 Additionally offered is an historical collection of stereotypical objects from the 19th and 20th centuries commonly referred to as Black Memorabilia or Black Americana; these items are reflective of and are part of African-American history and are material reminders of the prejudice and racism suffered by Americans of African heritage. Specialty areas include: Black Memorabilia, Medical, Dental, Apothecary and Drug Store, Veterinary, Barbershop, Advertising, and Olde School House Antiques and Collectibles. Our inventory is continuously changing with all offerings personally hand-selected by us during buying trips within the United States and Europe. Additionally, we are always interested in purchasing single items or entire estates, so please do not hesitate to contact us. Insured, worldwide shipping is available. We also are delighted to share our expertise and would be happy to provide an appraisal or conduct research for a reasonable fee. Our annual exhibition schedule can be accessed via an above link which provides detailed information for each of the select New England, New Jersey, Pennsylvania, and Washington DC antiques venues at which we will exhibit.